Penzey’s will open a location in Crossgates Mall, opening date March 2012. Love Penzey’s. I’m so excited, and not just because of all the money I’ll save on shipping costs! Steve Barnes from Tablehopping had the news yesterday. Trader Joe’s has FINALLY announced (after years of endless maddening speculation and grass-roots campaigning) that they’ll be opening a location on Wolf Road in Albany. The Business Review broke the story this afternoon (Friday). Well, good thing I just paid off my car. I’m gonna need a lot of spending money. If you’re interested in reading the press release, it’s after the jump. (January 6, 2012) Monrovia, CA – Trader Joe’s, a unique, neighborhood grocery store with foods and beverages from the exotic to the basic, has signed a lease to open a new store in Albany located at 79 Wolf Road. The store is scheduled to open second quarter 2012 and is approximately 13,000 square feet in size. Trader Joe’s carries an extensive array of domestic and imported foods and beverages including fresh baked artisan breads, Arabica bean coffees, international frozen entrées, 100% juices, fresh crop nuts, deli items, and vitamins and supplements, as well as the basics, like milk and eggs – all at honest, low prices. Trader Joe’s is truly a grocery store unlike any other. Trader Joe’s is a “store of stories,” meaning every item in the store has its own virtues — high quality ingredients, great flavor or simply an extraordinary price — many items often feature all of those qualities. Another significant point of difference, all of Trader Joe’s prices are everyday prices. Trader Joe’s doesn’t have “sales” for a few days, only to hike the prices back up again. Their prices change only when their costs change — there are no fancy promotions, discount cards or couponing wars. So how does Trader Joe’s offer unique groceries at prices everyone can afford? By offering more than 2000 items under the Trader Joe’s private label, which includes Trader Darwin’s vitamins (For the Survival of the Fittest), Trader José’s salsas, Trader Giotto’s marinara sauces, in addition to specially purchased items. Trader Joe’s is a chain of neighborhood grocery stores featuring high quality imported and domestic foods and beverages at honest, low prices. Trader Joe’s (www.traderjoes.com) began in 1958 in the Los Angeles area. 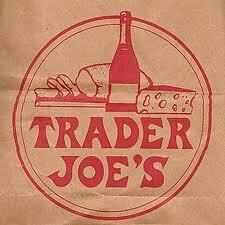 Since then, Trader Joe’s has expanded to more than 360 stores in 31 states. Like every other TJ’s I’ve been to, this parking lot is going to be a zoo. Aren’t there only like 10 spaces in that lot? I seem to remember it being cramped even for Office Max. I am happy about both. Although I recently have fallen in love with Strongtree Coffees, I do love me some TJ beans. My husband is from Jersey and we always make a stop on our way home from visiting his family and pick up 10 canisters of coffee! The people who work the register get it – they say they have out-of-towners stocking up all the time. Penzey’s is really cool too. I can spend hours looking at that catalog and making wish lists. I can’t wait to see the inside of the store! I just joined a CSA for the first time, both of these will compliment my weekly share nicely! I just took a look at the new TJ’s location on Google Street View. You are right – that parking lot is WAAAY too small for the deluge of cars that are going to descend upon it. Someone on Twitter this afternoon remarked that they weren’t going to go there for at least two years, until the crowds die down. Which is true, and makes me extremely frustrated. They need to think about being open 24/7. Penzey’s is going to be so sweet. I love their stuff, and I can’t wait to start sniffing my way around the new store. It’s amazing. Parking is always a problem at every TJs everywhere in the country. That’s why you would never catch me dead in a TJs during regular shopping hours. I’d generally go about an hour before closing when most people were settling in after dinner. But if you can swing mid-morning weekdays, that’s really the time to go (works well for HWFC too). I’ll keep that in mind. Weekday mornings sound like a great idea.